Aries: Mercury does not give intelligence to the person but it makes mind playful. Their mind becomes playful since childhood. Taurus: Mercury is very powerful. If Mercury is good then person is very intelligent. 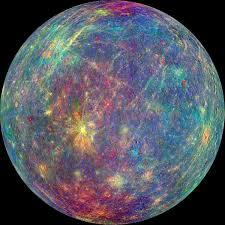 Gemini: Mercury is very important planet. Mercury not only makes person intelligent but also give dilemma. Cancer: Sometime Mercury gives intelligence. But if Moon is weak then Mercury makes person emotional. Leo: Mercury does not give mind and stupidity. Mercury gives only wealth. If Mercury is good then person becomes lavish. Virgo: Mercury is very important. If Mercury is good then person has sharp mind. Libra: Mercury gives mind and love. It keeps heart-mind balance. It creates problem only when they fall in love. Scorpio: Mercury makes heart and mind weak. They are mentally and emotionally weak. Sagittarius: Mercury makes intelligent in some matters and stupid in some matters. They do not work from heart. However, sometime they make big mistakes. Capricorn: Sometime Mercury makes person very clever. In this case, person does not think about good or bad. Aquarius: Mercury makes person intelligent. But emotions are very strong therefore; the mind is overwhelmed by the heart. Pisces: Mercury is not good in this zodiac. A person takes decision from heart. They face more problems when they take decision from mind. Good Luck: If you have keep office in the home then keep two different doors. You can also keep one door between them.